We want YOU to get creative on your iPhone and iPad! doodles! is an amazingly powerful but simple drawing app for all your mobile devices. Yes, your sticker "sprites" automatically show up in the iMessage drawer! The ultimate in fun stuff! 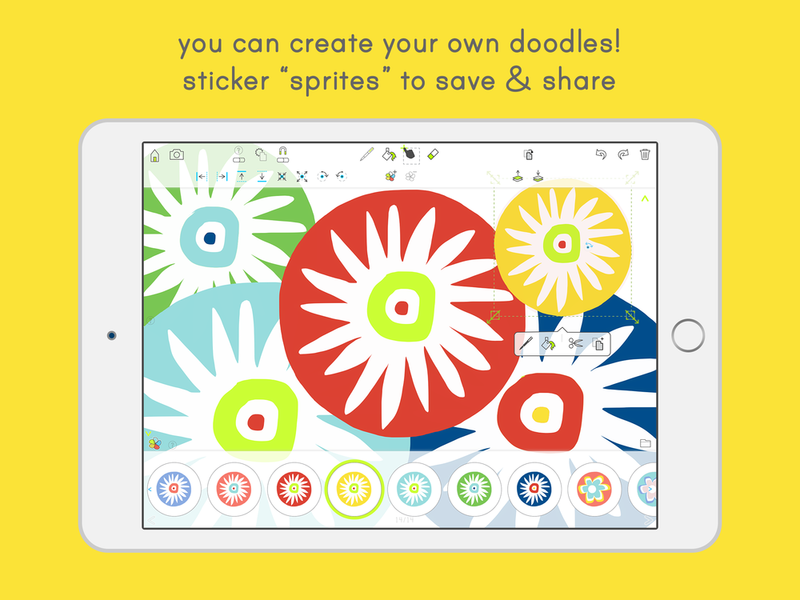 No other mobile app or desktop software enables everyday doodlers to make their own beautiful and fun digital stickers with such ease. Sharing is front and center! The ONLY doodle-it-yourself GIF animation app available on iOS! gifoodles! is an amazingly powerful but simple drawing app for all your mobile devices. Now your gifoodles! automatically show up in the new iOS 10 iMessages "drawer"! No need to transfer anything, just create in the app, and open up iMessages to "peel and stick" your animation. How cool is that? 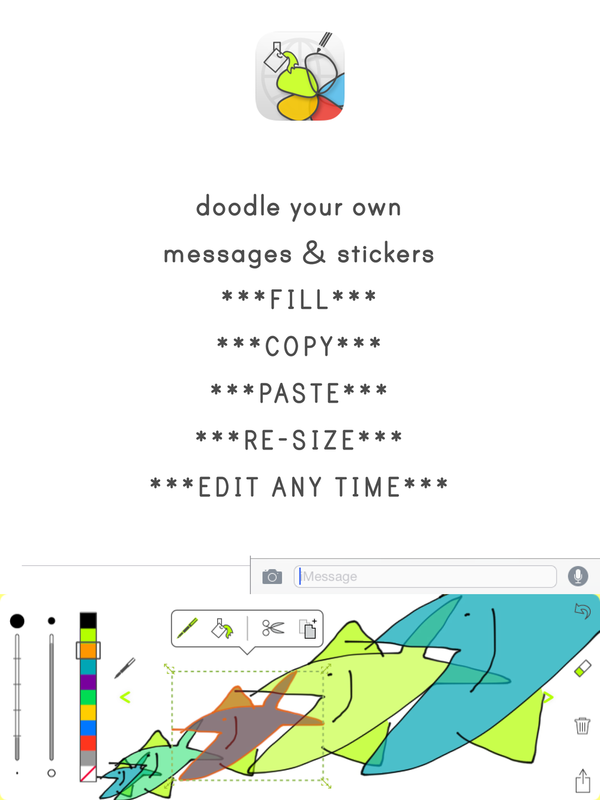 No other mobile app or desktop software enables everyday doodlers to make their own beautiful and fun animated GIFs with such ease. Just a tap animates the sprite! 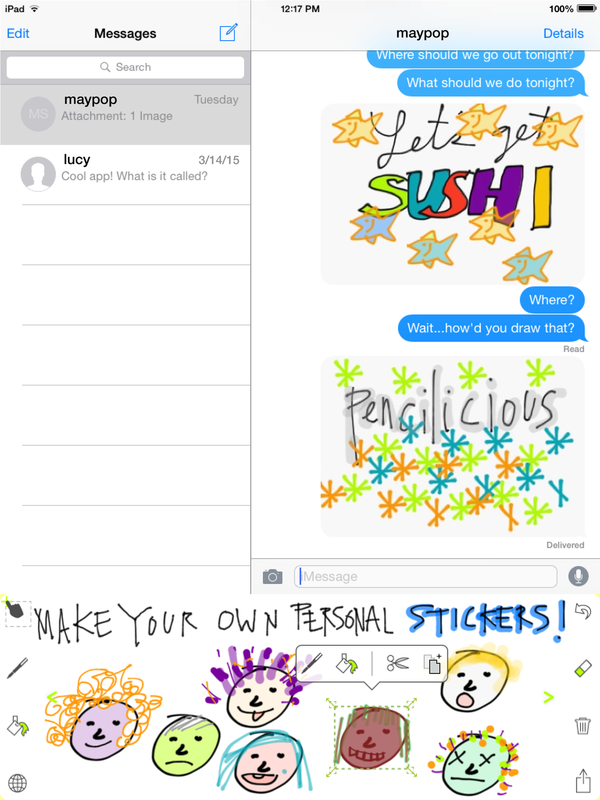 Simply the best way to draw your text messages on your iPhone and iPad! 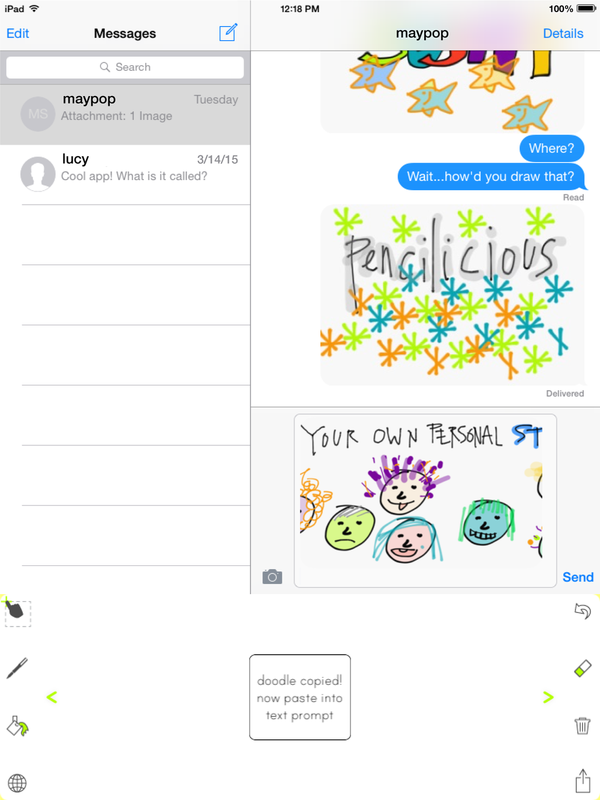 Pencilicious doodle messages is an amazingly powerful but simple iOS keyboard extension that allows you to really express what you mean in a text message - by doodling it!